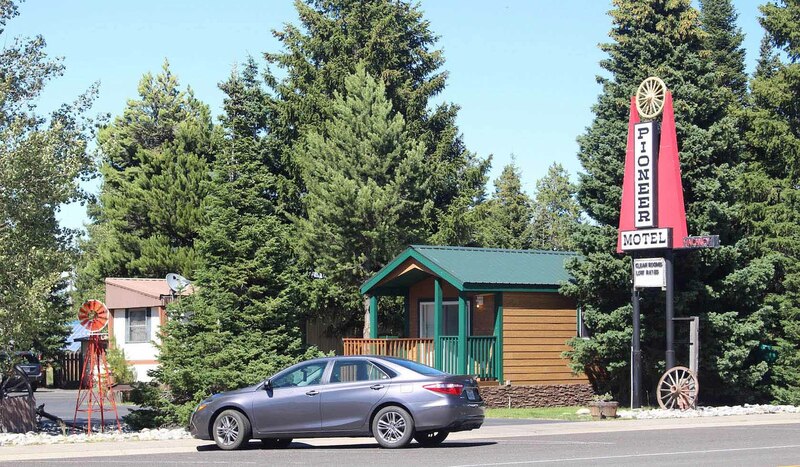 Pioneer Motel is within walking distance of shops, restaurants, laundromat, and park entrance. All units are ground floor, quiet, clean, quaint and with their own unique personality, surrounded by park-like atmosphere. Kitchenettes and family units, air conditioning, Wi-Fi and satellite are available. Pets are accepted.